The small Town of Macomb is most noted for its close knit community. Community members work diligently to volunteer and help in the planning of events for everyone to enjoy. Each year the Macomb Historical Association works alongside the Macomb Wesleyan Church members to host a Trunk or Treat event for the youngsters to enjoy. Each year the location of the event is interchanged between the Macomb Wesleyan Church grounds and the Town of Macomb grounds. This year it was the Historical Association's turn to host the event. 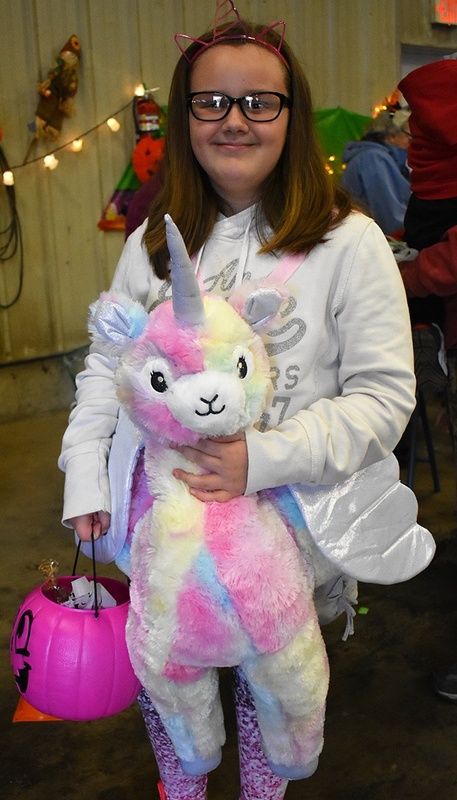 As weather proved to be a worrisome issue, the Macomb Town Barn was opened up, trucks and trucks brought out so that everyone could be warm and dry while enjoying all the festive fun. 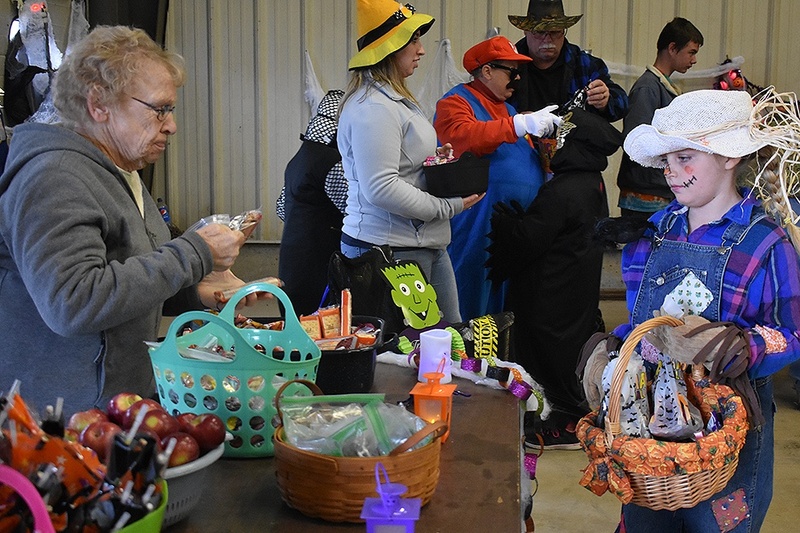 The large parking lot was filled with vehicles and inside the town barn over-poured with children and adults alike dressed up in their best Halloween. From scary to adorable to unique, everyone looked great. Once everyone's bag was filled up with candy, many gathered outside the Historical Association to roast hotdogs and enjoy refreshments. Fantastic job to everyone involved in making this event a great success for all the youngsters of the small community.